How to prepare for a No Spend Month…. 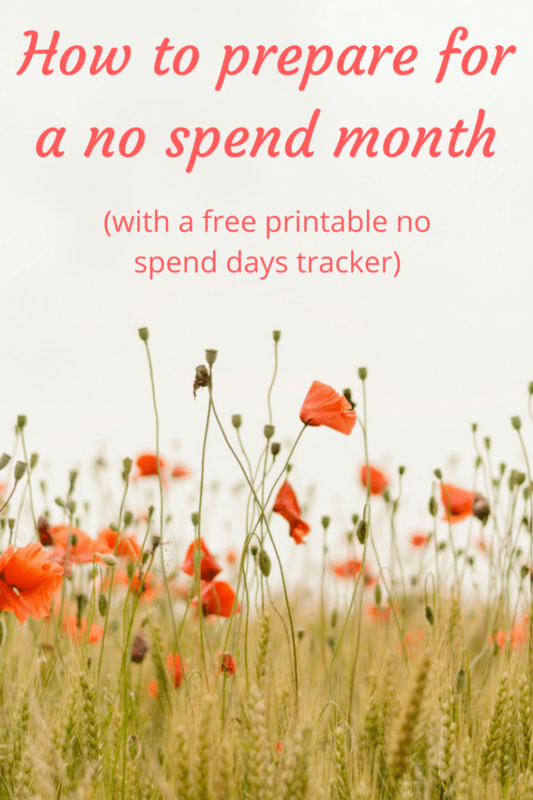 I know lots of people have been having a bit of a no spend month this month but we decided to have our no spend month in February instead so today, I’m sharing a few ideas on how to prepare for a no spend month. There’s no point spending a fortune in advance to stop you from spending throughout the month or spending double one day so you can spend nothing the next. To be fair, you absolutely could do that if you wanted to but that’s really not going to benefit anyone, is it? The idea of a no spend month is to help you focus on making the most of what you have, to cut down your spending on things you don’t need and in general to focus you on what you’re spending throughout the month. 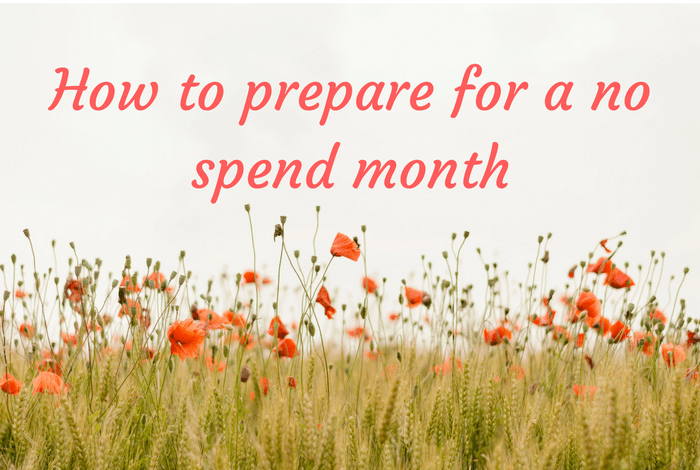 So what can you do to prepare for a no spend month? Take stock – Write a list of what you have in your freezer, fridge and cupboards in preparation for your meal planning. This month will be the month that you use up all the random things that have been at the back of your cupboards or hidden at the bottom of your freezer drawer – no matter how creative you need to be to use it up. 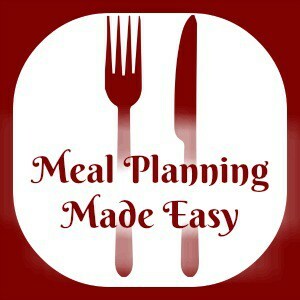 Meal plan, meal plan, meal plan – Can you tell I’m a meal planning advocate? The more you meal plan, the less you’ll spend throughout the month. Use the list you’ve written of the food you have in the house already as a base for your meal plan and try to incorporate as much of that as possible in your meal plan – the more you use up, the less you’ll have to buy when you go shopping. Shop wisely – For starters, write a list when you work out your meal plan and when you go shopping – stick to it!!! I have a freezer drawer filled with frozen veg (I’m a huge frozen veg fan) which means that I won’t be having to nip out to the shop midweek to top up my fresh veg. We also have plenty of frozen fruits and smoothie packs to top up our fruit supplies although I’m not sure if I can make the fruit I buy in one shop last a whole week but I can get Mr Frugal to buy some apples, bananas and satsumas on his way home from work. I wouldn’t not buy fruit when we need it just because I don’t want to spend that day because fruit is good for us all and not something I’d do without if I can help it. Be clever with your cooking – Choose foods that you can stretch into more than one meal (gammon and chicken do brilliantly for this) and keep a portion aside where possible to make lunch for you next day. 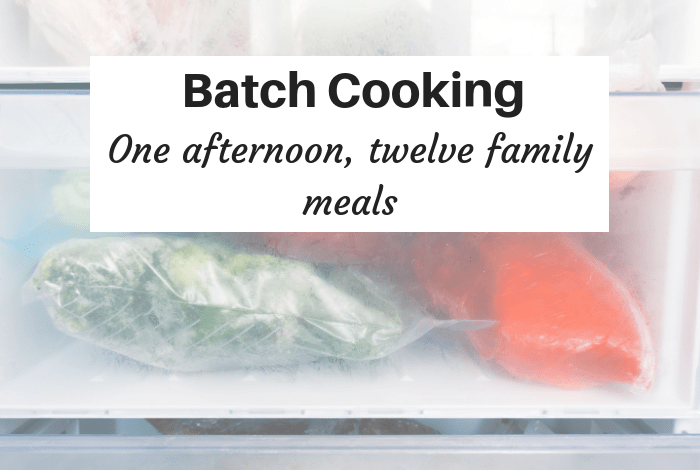 Do some batch cooking so you have an extra meal for the family to pop in the freezer for another time – I spent a day on Saturday doing this so I have plenty of meals ready to go. Be prepared for moments of weakness – are you likely to succumb to a takeaway at the end of a long day when you can’t be bothered to cook? Make sure you have something quick and easy to cook in the freezer – whether it’s a frozen pizza, a batch cooked meal or even a cheeky ready meal if that’s going to help you. 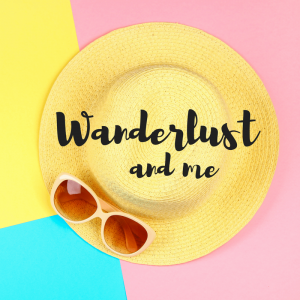 Have plenty to do that won’t cost you any money – I have a post of things to do that won’t cost you a penny to help you plan your time so you can have fun without spending any money! Let people know what you’re doing – I don’t mean tell the world that you’re trying not to spend any money but do tell your family and friends so they’ll understand when you say no to doing something with them. Use it up – I bet you could do without buying toiletries for the month so try and use all of the random smellies that you have in your bathroom cupboards. The same goes for cleaning supplies – I bet you have loads in the cupboard under your sink that you could use up and if you don’t have any to use up – make your own rather than buy more. 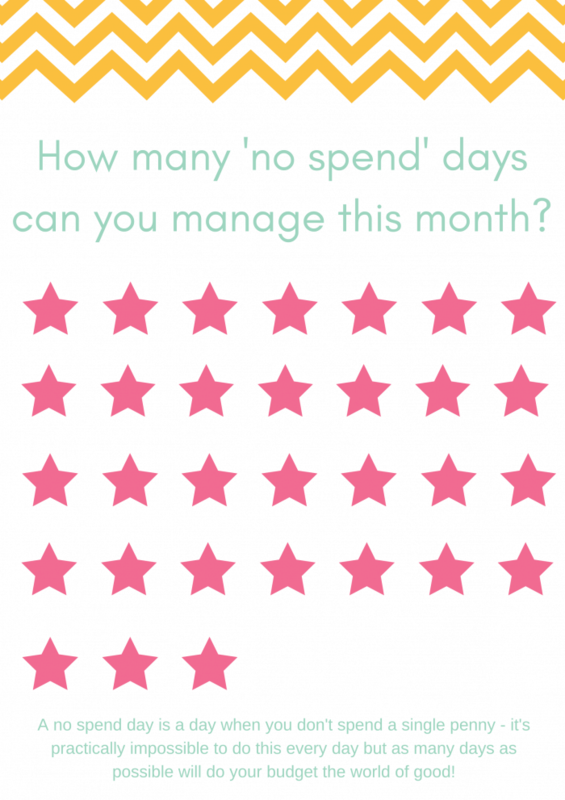 Keep track of your success – You can print out your free no spend tracker here so you can keep track of how many no spend days you manage throughout the month! You might also enjoy this post about how we make no spend days work for us as a family!